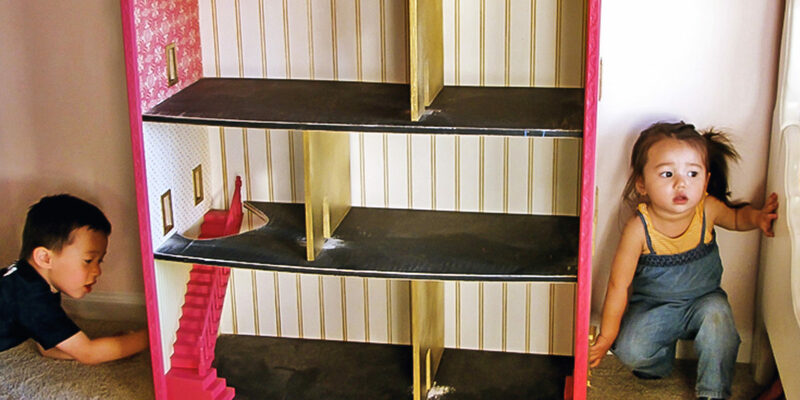 Handmade American sugar maple dollhouse bookcase made with metallic gold shingles for the roof that were individually laid and chalkboard floors. Stairs and banister add whimsical creative element for children. Commissioned by mother for her daughter.Wood species, color and dimensions customizable.